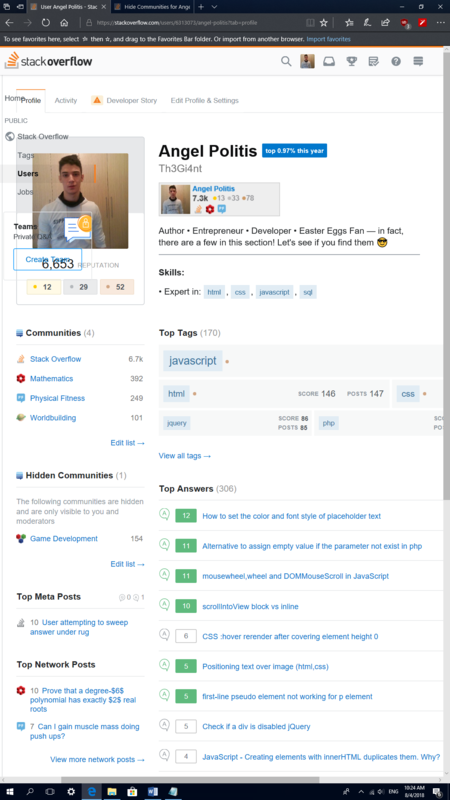 I just noticed that the sidebar on both Stack Overflow and Meta Stack Overflow has no background, which under normal circumstances may not be a problem, but to guys with a large monitor and poor eyesight who (occasionally) use zoom, like me, it becomes one as soon as we decide to scroll horizontally. I don't believe it's designed that way for some shady purpose, is it? Since I had some free time today, I decided to give a look at what is causing this particular behaviour of the sidebar in Microsoft Edge. After playing a bit with the code in the console, I figured out that the problem resides in the element div.left-sidebar--sticky-container.js-sticky-leftnav. By removing the left-sidebar__fake-sticky class being used in Microsoft Edge but in no other browser, the problem seems to subside, without any apparent side-effects. Browse other questions tagged bug design sidebar . Teasers in the Sidebar not working via adzerk; why no in-house solution? Is Stack Overflow advocating nice weather?